Bethesda has come out to definitively state that Fallout 76 isn’t about to turn into a free-to-play game, following rumors that suggested this might be the case. Clearly, such speculation – based on reported shortages of stock of physical copies of the game at an Australian retailer – was always on very dodgy grounds. 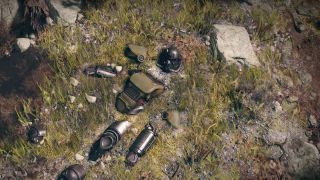 Because while Fallout 76 has certainly got off to a shaky start – prompting Bethesda to offer a freebie as part of a placation effort to those who bought the game last year – matters certainly haven’t got that bad, that quickly. At any rate, following a post on Twitter in which a gamer complained that if it was going free-to-play, they would want a refund, Bethesda replied to say there is no truth to this speculation. So there you have it. Fallout 76 has courted controversy since it first launched last November, to largely lukewarm reviews – our first impressions took the game to task for lacking the personality that characterizes the franchise. It was also criticized for being buggy, easy to hack on the PC – an accusation Bethesda subsequently denied – and the game’s refund policy came under fire, too. So it’s perhaps not surprising that people are taking the time to fan any flames pertaining to the MMO.